Whey is a protein, a mixture of globular proteins isolated from whey, the liquid material created as a by-product of cheese production. Milk contains two primary sources of protein, the caseins and whey. After processing occurs, the caseins are the proteins responsible for making curds, while whey remains in the shape of a liquid. Whey protein exists in 4 types – concentrate (WPC), isolate (WPI), hydrolysate (WPH) and Native Whey. Concentrates are little low on fat content and cholesterol and higher levels of bioactive compounds and carbohydrates. Isolates are usually lower in bio activated compounds as well — they are 90%+ protein by weight. Like whey protein concentrates, whey protein isolates are mild to slightly milky in taste. Hydrolysates are whey proteins that are predigested and partially hydrolyzed for the purpose of easier metabolizing, but their cost is generally higher. Native whey protein is the purest form of whey protein, extracted from skim milk and not as a by product of cheese production. Whey, essentially a protein complex, is a modern day nutrient and food, with lots of health giving and curing properties. Whey’s ingredients include lactoferrin, betalactoglobulin,alpha-lactalbumin, glycomacropeptide, and immunoglobulins. These exhibit a plethora of immune-enhancing properties. Also whey is capable to act as an antioxidant, antihypertensive,antitumor, hypolipidemic, antiviral,antibacterial, and chelating agent. The property of whey to be able to intracellularly convert amino acid cysteine to glutathione, a potent intracellular antioxidant gives it the name of a healer. Numerous clinical trials vouch for the healing or curing properties of Whey for multiple diseases such as cancer, HIV, hepatitis B, cardiovascular disease, osteoporosis, and as an antimicrobial agent and an infant colic and immune builder. Whey protein is also useful as a performance enhancer in exercise. Milk constituents have become functional foods having a noticeable impact on health. Whey, a by-product of cheese and curd manufacturing, is a popular dietary protein supplement purported to provide antimicrobial activity, immune modulation, improved muscle strength and body composition, and to prevent cardiovascular disease and osteoporosis. Processes such as microfiltration, reverse osmosis, and ion-exchange,have resulted in development of several different finished whey products. Each whey product varies in the amount of protein, carbohydrates, immunoglobulins, lactose, minerals, and fat in the finished product which determine its category according to the application desired out of it. Whey needs to be evaluated here to understand briefly what Whey is made up of. First of all it has sufficient amounts of Amino Acids and in higher concentrations than vegetables or soy or corn which are the other sources of proteins, specifically leucine, important for tissue growth and repair. Leucine has been identified as a key amino acid in protein metabolism. Whey proteins are rich in sulfur containing amino acids cysteine and methionine. With a high concentration of these amino acids, immune function is enhanced through intracellular conversion to glutathione. Lactoferrin, an iron-binding glycoprotein, is a non-enzymatic antioxidant found in whey. However, the concentration in most commercial whey protein powders is only 0.35-2.0 percent of total proteins. An immunoglobulin (Ig) is an antibody or gamma-globulin. There are five classes of antibodies – IgA, IgD, IgE, IgG, and IgM. IgG constitutes approximately 75 percent of the antibodies in an adult. Beta-Lactoglobulin represents approximately half of the total protein in bovine whey, which has the potential to modulate lymphatic responses. Alpha-Lactalbumin alpha-Lactalbumin is one of the main proteins found in human and bovine milk. It comprises approximately 20-25 percent of whey proteins and contains a wide variety of amino acids, including a readily available supply of essential and branched chain amino acids. Lactoperoxidase Whey contains many types of enzymes, including hydrolases, transferases, lyases, proteases,and lipases. Capable of destrying many bacteria. and is a source of essential amino acids . Whey protein has been clinically studied of late although with limited trials to date on it’s various effects on a host of health conditions, from cancer to cardiovascular disease and osteoporosis.It has been found useful in the treatment and regulation of many critical diseases and syndromes, some of which are briefly touched upon here. Cancer– In a study published by Keri Marshall, ND MS, clinical trials on tumour subjects on various stages of malignancies have indicated that Whey protein concentrates are effective in the prevention and treatment of cancer. Glutathione stimulation is thought to be the primary immune-modulating mechanism. The amino acid precursors to glutathione available in whey are thought to increase glutathione concentration in relevant tissues and stimulate immunity. Some researchers also believe the iron-binding capacity of whey may also contribute to anticancer potential, as iron may act as a mutagenic agent causing oxidative damage to tissues. In a recent clinical trial, 20 patients with stage IV malignancies (one bladder, five breast, two prostate, one neuroblastoma, one ovarian, one gastric, three colon, one mesothelioma, two lymphoma,two non-small cell lung, and one osteosarcoma) received a combination of 40 g/day nondenatured whey protein concentrate. After six months there were 16 survivors, all of whom had significantly higher NK function and higher mean haemoglobin and hematocrit levels. All patients noted having an improved quality of life during the course of the study. Hepatitis Whey proteins affect patients with Hepatitis B or C. It hs been clinically seen through open and closed clinical studies that whey subjects responded better to controlling the disease. Human Immunodeficiency Virus (HIV) Patients with HIV have Glutathione deficiency . Therefore to increase cysteine, and ultimately glutathione, several studies have been conducted on the use of whey proteins in HIV-positive individuals. Both studies note an improvement in quality of life with increased exercise and whey protein intake. Antimicrobial Lactoferrin in the whey helps redue infection against many viruses including E coli and increase the immunity to fight off invasions. Cardiovascular Disease CVD It has been established beyond doubt in science that high fat intake increases the risk of CVD, which is also is linked to a number of other factors, such as age, genetics, obesity, sedentary lifestyle, and alcohol intake, quality of dietary fat must be taken into consideration. Several studies have found milk intake and milk products lower blood pressure and reduce the risk of hypertension, significantly impacting HDLs to increase and triglycerides to decrease thereby creating an ideal environment in prevention of CVD. Exercise Whey protein supplements, including purified alpha-lactalbumin liquids, having high protein and BCAAs content help enhance performance and tolerance levels. Obesity a serious problem the world over is being tackled with whey, thought to be an attractive source of dietary protein. Whey protein isolates can be as high as 95-percent protein, after the removal of fat and lactose, and contain valuable minerals and vitamins. Whey has made a significant commercial impact in the weight-loss industry for its protein content alone. The essential and non-essential amino acids in whey act as substrates for protein synthesis and may improve body mass index in individuals participating in exercise programs. Osteoporosis– Milk has been proposed as a nutritional food that aids in the prevention of osteoporosis due to its bio available calcium content. Milk basic protein (MBP), a component of whey, has the ability to stimulate proliferation and differentiation of osteoblastic cells as well as suppress bone resorption. 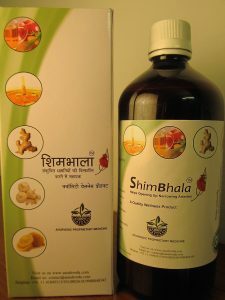 Similarly whey helps in repair of Gastrointestinal lesions and controlling disorders. Building Muscle Tissue- Protein powder is a favourite supplement of muscle building regimens with high-quality protein. Shakes are consumed by athletes and sports drinks are galore. The modern day concepts rely heavily on this trait of protein supplementation on which the gym and body building industry thrives. However, is is advised to consume the supplement according to need and in moderation and under medical advise and supervision. Basic Knowledge on whey– There are various types of protein powders and ideal choice has to be arrived at by each user. Choice should not be based on “promises” made in an advertisement or packaging, product or label. All Products advertise on their benefits on labels and packaging such as undenatured whey protein which for example is next to impossible as manufacturing laws require it to be pasteurized. This may rob the product of it’s effective ingredient however we need to have basic knowledge of whey protein so that we can differentiate. Similarly cold filtered protein powder on labels could be mythical as the actual filtering process that concentrates the whey into the final percentage of protein (typically +80%) has nothing to do with the fact that most manufacturers who “cold filter” their whey are still flash pasteurizing it at the highest possible temperature beforehand. Why? Because it only takes fifteen seconds to flash pasteurize whey and it takes fifteen minutes to pasteurize it at the lowest heat levels. So you can produce more whey if you only take 1/60th of the time at this stage of processing. Products may exhibit that they are 100% hydrolyzed where as if that is the case powder would be inedible as broken down (hydrolyzed) protein will not be bound together. The immunoglobulin is bound to the fat globule and as such fat stripped protein may be deficient in it’s properties. Protein bars sometimes may be under-dosing the protein and overstate the amount on the label. Although powders are better, they’re still under-dosed in a lot of cases. They may contain carbohydrates far in excess of what the label states. Most protein powder comes from a very few manufacturers who source it from the same regions and with same raring techniques which are obviously commercially driven processes. Products may be in thousands boasting a plethora of unique properties but sourcing is almost uniformly same for all commercial brands. A US Consumer Report July 2010 Article indicated the most popular brands of whey protein in the US had high concentrations of heavy metals including lead, arsenic, and cadmium which can cause permanent damage to the nervous system, kidney, and promote cancer when accumulated in high concentrations. Consuming the required amount only and not excessively is important and a doctor is the best one to establish that. Excessive amounts can lead to weight gain, kidney problems and increased cholesterol, according to the US Center for Disease Control and Prevention. The University of California Los Angeles reports that the human body can absorb and utilize a maximum of 0.91 g of protein per pound of body weight per day. Similarly McKinley Health Center in the US recommends 20 g to 25 g of protein powder per day for the average active adult. Side Effects of Whey Protein– Those building muscle could gain weight with using whey as a supplement as it has added sugars and carbohydrates or some may even have fat. Since all this comes in liquid form intake it may not satisfy the solid meal deficiency resulting in eating more than required which could increase body weight. Especially builder protein or gainer protein for lean bodies is to be avoided for normal physiques and hence it is important that labels are read carefully before usage to understand the body type for which product is designed. Whey protein can worsen a kidney stone health condition and even cause them although this is not conclusively proven. Whey protein eaters are advised to add a sufficient fibre cntent to their diet. It is therefore very important that a normal balanced whey consumption regimen is adopted which contains fat and carbohydrates as well, consumed alongwith a normal meal diet. Having too much of protein shakes or a heavy protein imbalance can cause upset bowels and irritable digestive tract. Weak protein digesting people can switch to other proteins asuch as rice, soy and hemp which do not contain lactose and are easily digestible. In some cases people with genetic history of gout have been associated with increased symptoms of the disease with whey protein intake. In case amino acids are not digested or used up, the body organs which filter them out such as the liver and kidneys could be put under tremendous pressure resulting in organ damage. It is therefore advisable not to exceed daily prescribed intake of protein both in powder or shake form. Protein shakes can be high in calories, so if you’re not exercising, they can contribute to weight gain. Whey is a natural by-product of cow’s milk, and, in powdered form, one of the most popular fitness supplements available. There’s nothing inherently risky about whey protein by itself, but following a diet that’s very high in protein for an extended period of time entails risks, especially if you’re not trying to build muscle. Before you make whey a regular part of your eating plan, get the go-ahead from your doctor. As a sports drink protein supplements should be had in the range 0.5-0.7.5 grams of protein per pound body weight daily for casual exercise cases and 0.6-0.9 grams per pound of body weight in case of professional athletes. The active precursor in amino acids glutathione can also be increased by following a regular exercise regimen and eating fresh fruits and vegetables although green vegetables when cooked almost entirely loose the precursor property. Chemicals, toxins and sugar also decrease glutathione levels rapidly. Milk thistle herb is a rich source of silymarin which may prevent glutathione depletion in the liver. 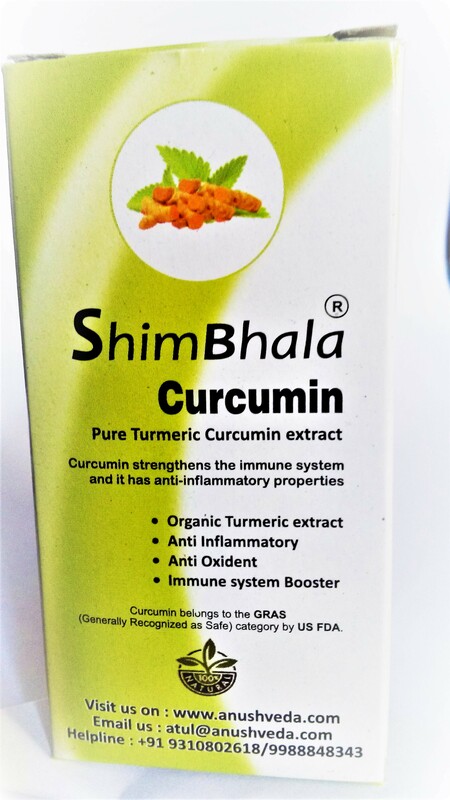 Curcumin a concentrated form or extract of turmeric is also known to increase glutathione levels. All in all our own sagacity is more important as to what we require and desire as sometimes some compelling desires can be time and health wasters. Disclaimer: Information contained in this write up is for education and awareness purposes only and for non commercial use. It is not to be used as a medical advice or prescription. Readers desiring consumption of whey must consult their medical practitioner before consumption. Some of the information or content herein including are extracted from articles of various authors and researchers, including University of Maryland Health Centre and studies published by Keri Marshall, ND MS.